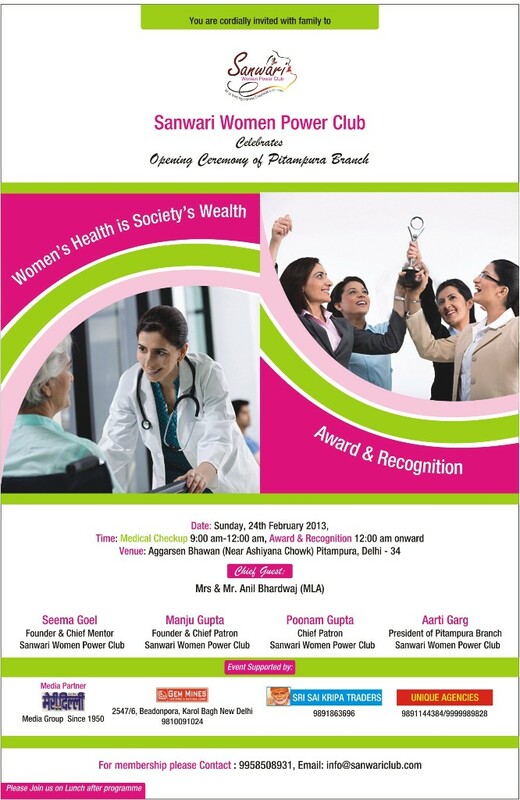 Sanwari Women Power Club has grown from a humble beginning to the current phase of opening branches.This event on 24th Feb'13 is about the launch of Pitampura Branch. 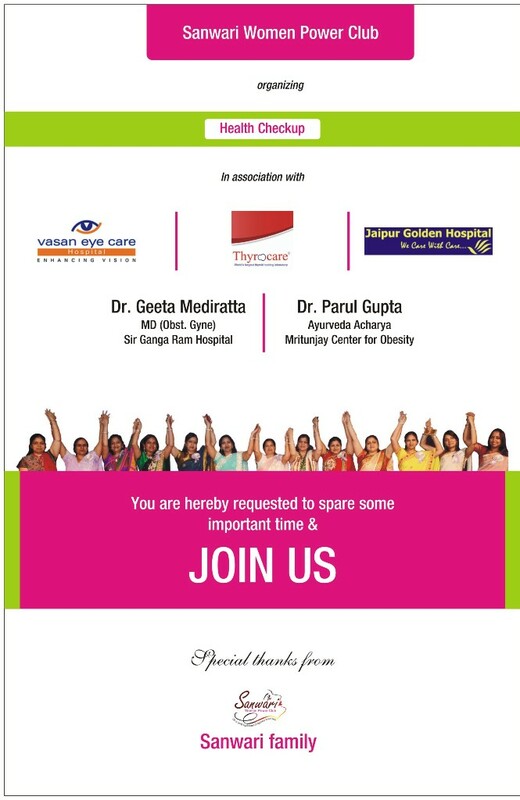 There will a free medical counseling camp being organized by big names in the medical fraternity. many famous lady doctors will give guidance to members of Sanwari Women Power Club on maintaining good health, young looks, beauty, obesity,& others. 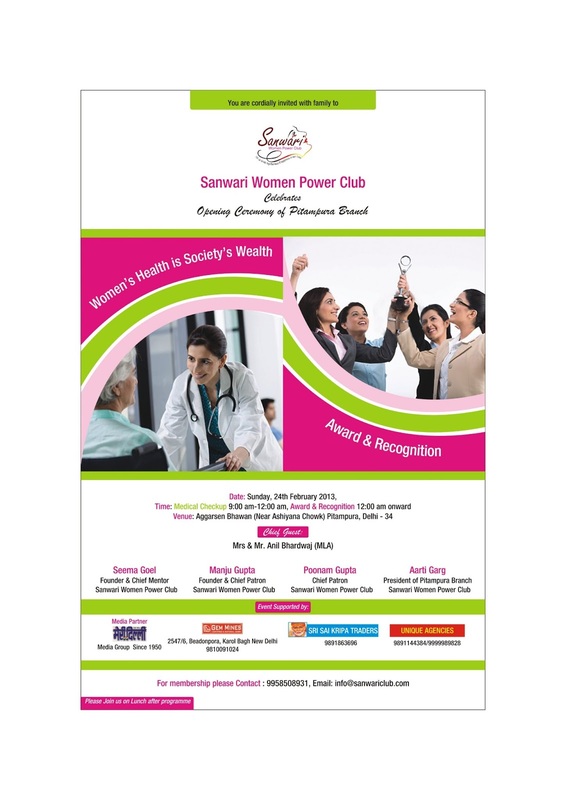 Sanwari Women Power Club which is being run under the able leadership of Mrs.Seema Goel plans to open up several branches in the coming times covering all areas & locations in Delhi.